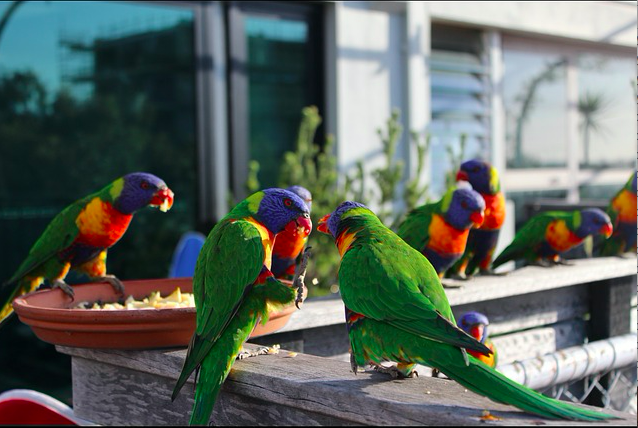 Melbourne is a beautiful, diverse city, which is why most people that visit Australia plan on seeing it. Renowned for its great cultural offerings, yummy cafes, breathtaking landscapes, top museums, funky bars and interesting history, this city really is a must! After all, it has been repeatedly voted as the most livable city in the world. 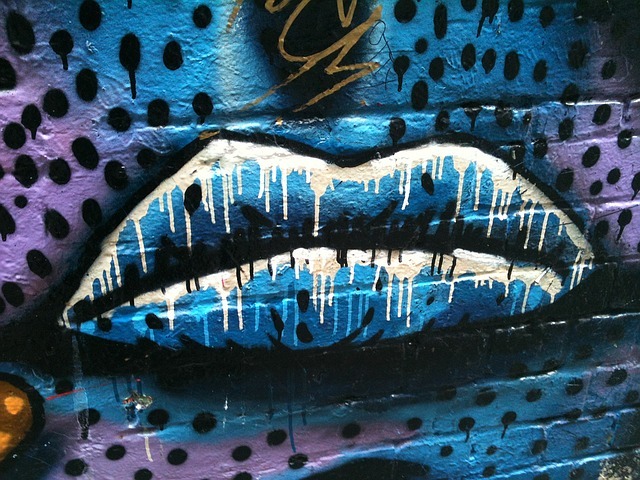 With that being said however, what Melbourne isn’t famous for, is its budget prices. It’s actually a shockingly expensive city, meaning that most backpackers can blow their budget in an instant in this Aussie playground! Transportation takes a big part of your money in Australia – and I’m not just talking about plane tickets, but transportation within the city as well. A great way to save some cash when flying to Melbourne however is to use Skyscanner. Ideally, you should be flexible with your travelling dates, as this will make scoring a bargain flight much easier, especially with budget airlines like Tiger. The earlier you book, the cheaper the flights you are likely to get. Upon your arrival at one of the Melbourne airports, you can then choose from several transport options to get into the city. The cheapest is the airport shuttle bus – SkyBus. SkyBus runs regularly from Melbourne Tullamarine Airport to Melbourne’s Southern Cross Station in the CBD. It operates 24 hours a day, seven days a week and takes between 20 to 35 minutes. SkyBus recommends allowing 1.5 hours when returning to the airport to ensure that you don’t miss your flight. A one-way ticket costs $19 AUD, whereas a return ticket costs $38 AUD – for adults, of course. Children up to 4-years old can travel free of charge. You don’t need to worry about reserving your ticket beforehand – there is a bus departure every 10 minutes – but there is the option of purchasing the ticket online if you want. 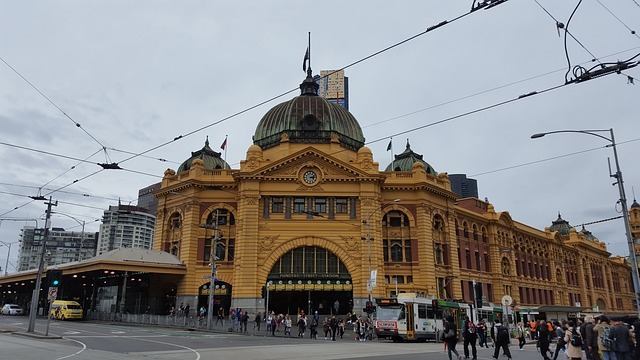 Another alternative is to get the ticket on your day of travel from the ticket booths at the city terminal at Southern Cross Station, as well as at the Melbourne Tullamarine Airport Terminals T1, T3, and T4. Using the public transport in Melbourne takes a bit of effort and time. Nonetheless, the cost is affordable, which is why you should opt for it if you’re on a budget. 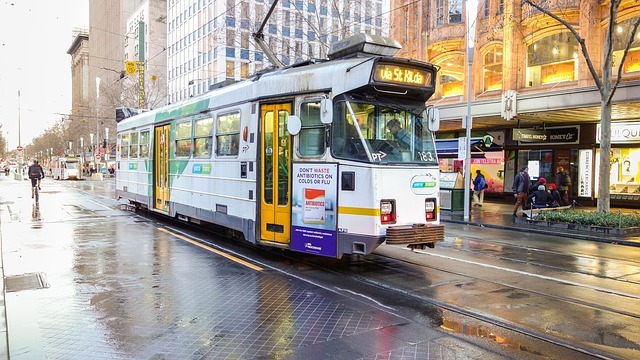 In particular, trams in Melbourne are simple, easy to use and the City Circle Tram is FREE. Indeed you have the option of spending all day on the City Circle Tram if you want and I would advise using this as a hop-on-hop-off kind of service so that you can enjoy the major attractions in central Melbourne. In order to get on this tram – which is route number 35 – you should be at one of the specially marked spots on this route. It takes 48 minutes to complete the loop and trams run in both directions every 12 minutes. The Melbourne Circle Line is another of the best tram routes in this city as it passes by some of the greatest attractions of Melbourne. However, outside the CBD area you have to pay for it. Picking up a Myki Explorer pack will help keep your costs of public transport low across trams, trains and buses in Melbourne. The pack can be bought at the Melbourne Visitor Centre in Federation Square, SkyBus terminals or any PTV Hubs in Melbourne. The Myki Explorer pack provides unlimited travel in metropolitan Melbourne and includes useful public transport maps as well as special offers for 16 distinct regional attractions including Melbourne Museum, Queen Victoria Market, Melbourne Star Observation View and the Immigration Museum. Otherwise, the regular Myki card is a decent option if you aren’t particularly interested in the discounted attractions offered by the Myki Explorer Pack. You can purchase Myki cards at tons of places including all 7-Eleven Stores and online. The card costs $6 AUD and you can then top-up at any metropolitan train station, selected bus interchanges and tram stops, as well as onboard buses. You can top up the card with Myki money, or, alternatively, a Myki pass, for either 7 days or 28-365 days. When it comes to short-term visits, I would recommend you choose the option of Myki money because, when you use Myki money in Zone 1 and Zone 1+2, a 2-hour fare will cost just $4.10 AUD whereas daily travel costs only $8.20 AUD and $6.00 AUD on weekends. You can have a look at the fare rates for Myki Cards here. Bear in mind that you will need to tap on when you enter a train station with your Myki. You should tap off only if you’re travelling in Zone 2. You can also get around by bike in Melbourne, which is an incredibly cycle-friendly city. When it comes to bikes you have 2 options: Yellow oBikes that are dock-less, or Yellow Melbourne Bike Share that do have a docking system. 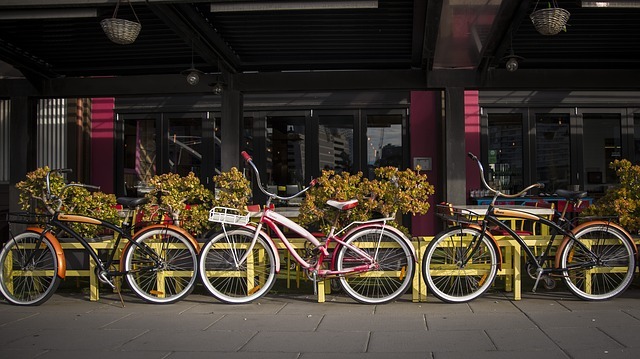 In order to have access to a bike, you should find the nearest station and undock the bike by using a membership key. For casual access, you may sign up at the kiosk. As the key is checked, the light will turn amber – and when the green light appears, you can remove the key and take the bike. Before riding the bike, ensure that it is roadworthy, and always adjust the seat, so that you can ride comfortably and safely. If you want to dock it, you can return it at any station. All you have to do is simply push the front wheel into the docking point until the bike is locked and secured. The day pass offered is ideal for tourists, as it costs just $3 AUD. With this you can enjoy an unlimited number of rides with a duration of 30 minutes each. In addition, a $10 AUD deposit is required – this sum will be refunded to you when you return the bike. Also, you should know that there is a law to wear a helmet when cycling in Australia, so make sure you don’t forget this! #1 Good Camera – You will be pretty much snapping non-stop in Australia and will need a good camera to do this gorgeous country justice. I highly recommend the Sony A6000, which I use for all my travels and love, not least because it’s light, compact and robust! #4 Good Water Bottle – Travelling in hot old Australia can be thirsty work, so make sure you have a metal water bottle that you can refill as you go, because tap water is drinkable… and free! #5 Good Sun Hat – And there’s no denying you’ll need a good sun hat for protection in Australia too. In my opinion you can’t go past this Hello Sunshine one, which is both gorgeous and ideal for keeping the rays off your face. Making early reservations when visiting Melbourne is definitely going to help you stick to your budget, as both backpacker hostels and AirBnb properties fill up quickly. My advice is to ensure that your accommodation has facilities such as free wifi, free breakfast, shared kitchens and even laundry facilities, as this will help you keep your costs low. For example, the top ranking Hub Hostel is a perennial favorite among backpackers in Melbourne due to its great location and well-priced dorms / privates. Landing Pads Melbourne is another winning hostel being situated in my favourite part of Melbourne. It is newly renovated with a great shared kitchen and sun porch! If you’re travelling with family or friends, you can save more money by renting an Airbnb for your budget trip to Melbourne. I love using AirBnb whenever I travel, because it allows me to experience the local culture, among many other things. If you’re new to AirBnb, why not give it a try in Melbourne? 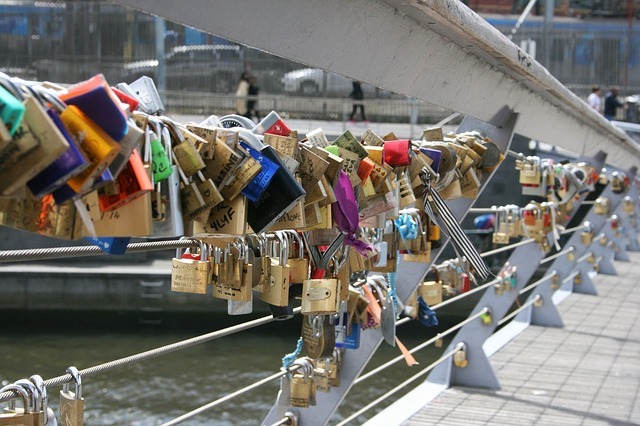 You can even get £30 off your first AirBnB booking by signing up HERE! The average food price for one day in Melbourne is $34 AUD, and bottled water for a day costs $1.50 AUD. This means eating out in this city isn’t cheap! Therefore, you might consider preparing at least one meal a day at your accommodation. Supermarkets such as Coles should be your go-to in this instance. That said, you can’t come to Melbourne and not sample some of the most amazing culinary delights on offer. Beatbox Kitchen is a great budget venue in Melbourne, where a burger costs $6 AUD. On Wing It Wednesdays, you can eat chicken wings for just $1 AUD each at 682 Sydney Road, Brunswick, Melbourne. If you feel the need for a warm meal, you could go to Soi 38 – located at 38 McIlwraith Place. The noodles there are $10 AUD and very consistent. You can choose from pork, tom yum and duck – but the most popular option is the beef. Places like Jimmy Grants and Bimbo Deluxe in the Fitzroy area offer delicious food for pocket-friendly prices and Taco Tuesdaze is only $2 AUD at Hotel Jesus. Then, of course, there’s Lentil as Anything. This is a top, non-profit vegetarian restaurant – where you can pay what you feel. However, the average cost for 2 people is $25 AUD. There are 2 Lentil as Anything in Melbounre – one is situated on 1-3 St Heliers Street, Abbotsford and the other at 41 Blessington Street, St Kilda. Section 8 is a great place to visit for budget-priced drinks in Melbourne. It’s located on Tattersalls Lane and is not only surrounded by street art, but also made out of shipping containers. As a backpacker, The Joint Bar might also be a great choice for you. Situated on Elizabeth Street, you have a great view here and the prices start at just $5 AUD for a beer. The Red Eye Bar on Beachside St. Kilda is also a hot spot for backpackers since it brings in the good vibes and cheap drinks. And last, but not least, Ponyfish Island is a bar located under a bridge in the Yarra River on a pontoon. The drinks are cheap and the view is stunning. What else can you ask for? It’s great to know that Melbourne has several galleries and museums you can visit free of charge. The best of these include the Old Treasury Building, the Federation Square and the State Library of Victoria. If you like this kind of stuff, give them a shot! 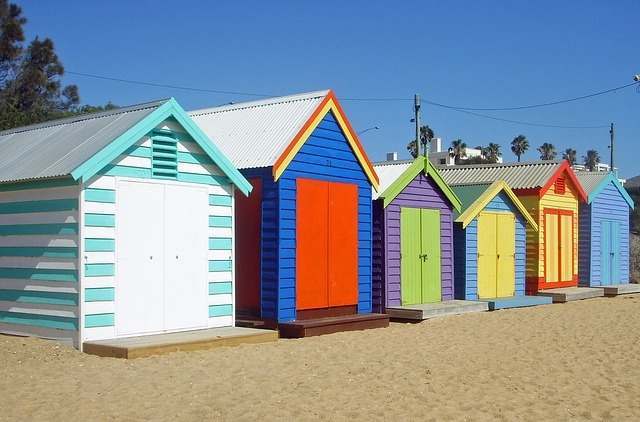 You could also visit the free Melbourne beaches for some vitamin “sea” treatment. You shouldn’t miss going to Half Moon Bay, which is located South East of Melbourne in the suburb of Black Rock. You can get there there by train from the Middle Brighton Railway Station and the journey lasts roughly 35 minutes. Another favorite beach for both locals and visitors is Paradise Beach & Park. Accessing the beach is easy and you have a wide range of restaurants to choose from when you get there. Walking the laneways of Centre Place or Degraves Street is another excellent free activity in Melbourne, not to mention the coffee here, which is some of the best in Australia. The Albert Park Lake is another great place to explore for free in Melbourne – the only thing you’ll have to pay for is parking. If you want to visit the botanical gardens as a tourist, it will cost you $19 AUD – but you will also be able to catch a movie at the Moonlight Cinema there. And finally, if you want to take a dive in a pool you can go to MSAC (Melbourne Sports and Aquatic Center). Access is just $8.20 AUD, but the experience is definitely worth it. It’s a great place to end your day at. 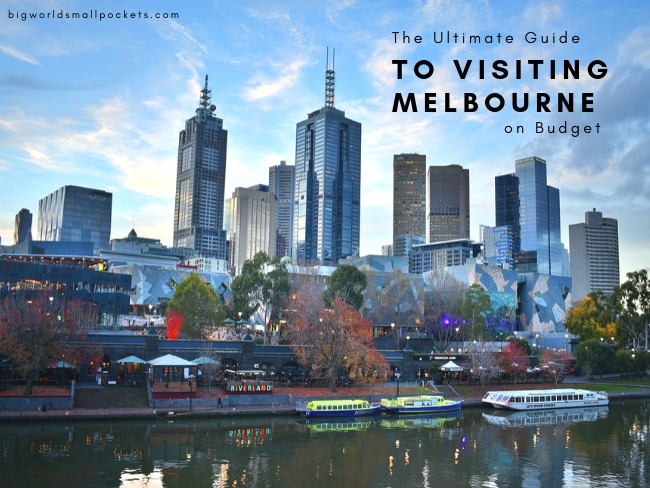 Although Melbourne seems a scary option at first because of the costs, this guide should help you save money and make some great memories. 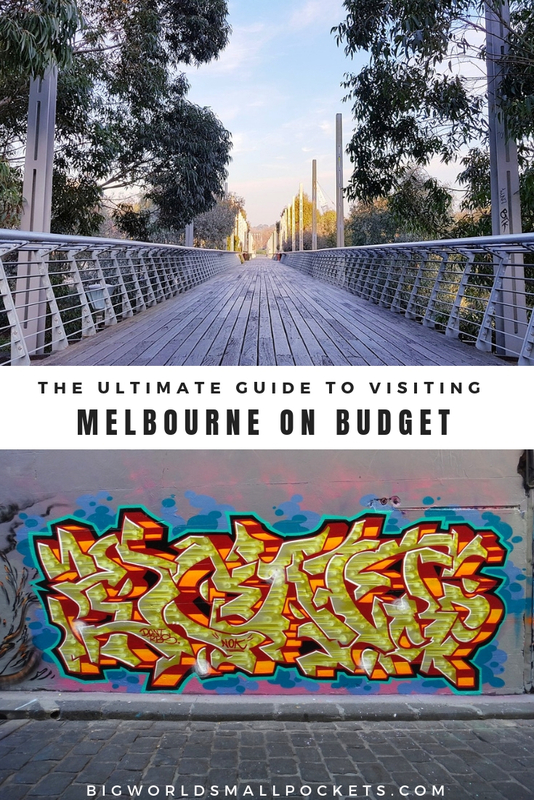 Have you got any more top budget tips for Melbourne? About the Author: Cal Bailey runs mountainleon.com – a travel blog he started after two years backpacking around the world. The Queen Victoria Markets in Melbourne is a great way to get fresh food negating the need for Coles and other supermarkets. Salamis, cheeses, bread, olives, fruits etc. as well as lots of pre-cooked food.